Have you been yearning to go on a Tropical vacation like I have? Unfortunately, I don't have one in sight, but these pants make me feel like I am! 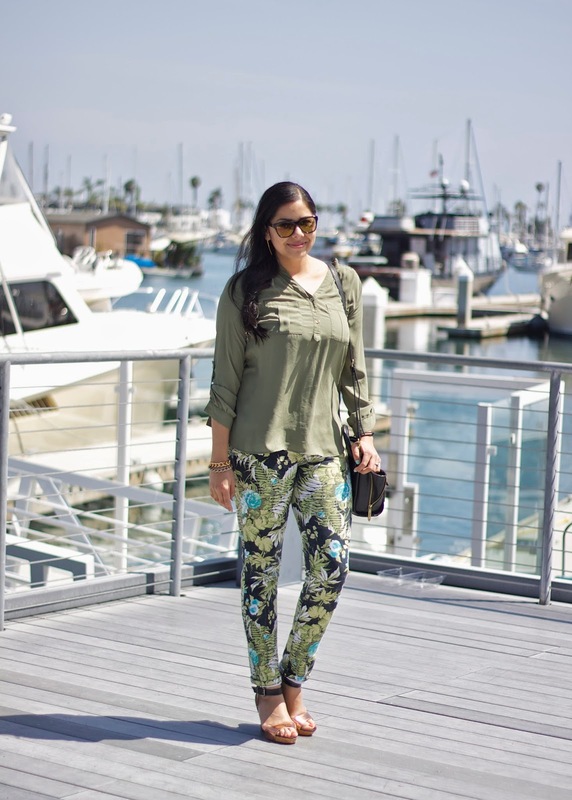 The tropical print drew me in and has me wishing for some shorts or a dress in the same tropical feel print. It's a good way to incorporate the tropics without looking like a total tourist. 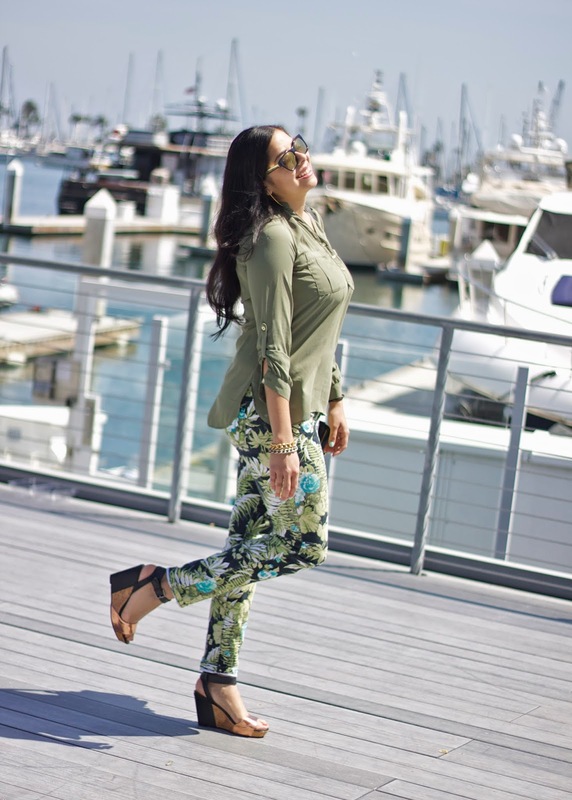 About the Outfit: Charlotte Russe Top (similar) | Pants (similar / similar) | Isaac Mizrahi Sunglasses | Philip Lim x Target bag | ShoeDazzle wedges (similar) | Pics by Marisa Gomez. 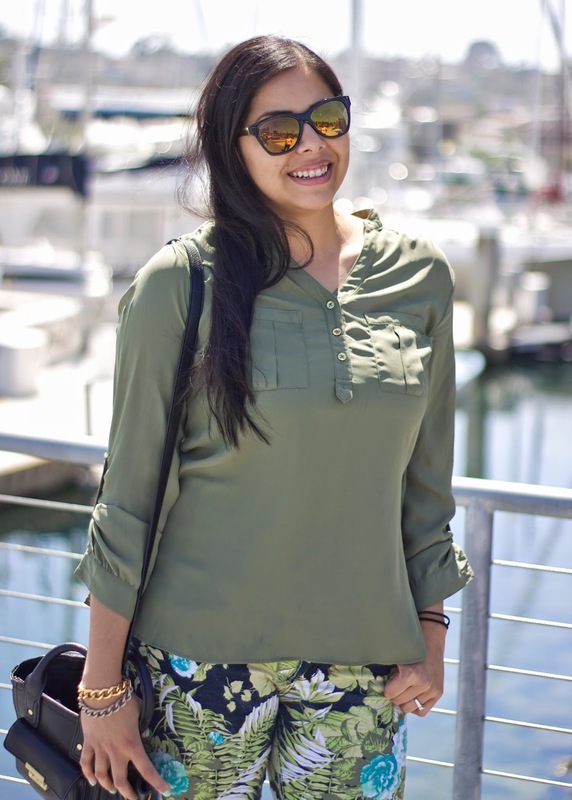 I love how you styled them, the shirt balances out the print perfectly. Happy Friday! I have the same pants!!!! LOVE how you styled them! 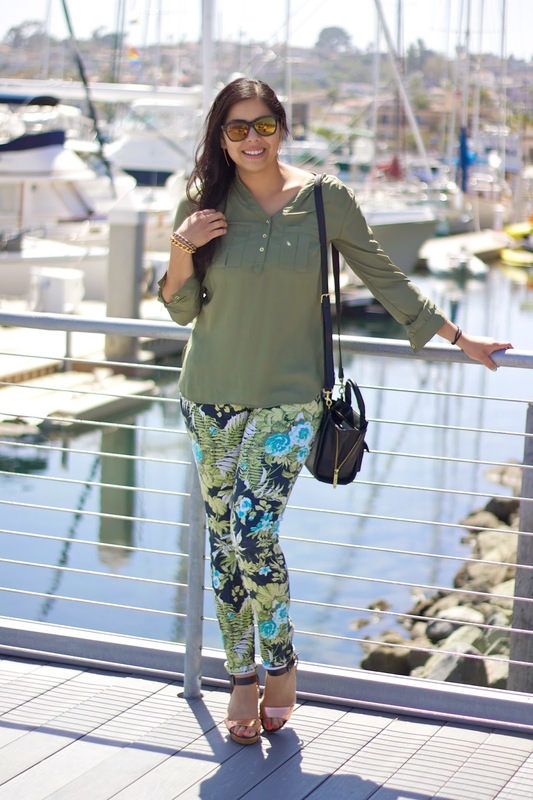 Amazing printed pants! The khaki top goes perfectly with them :) And never mind a tropical holiday, wherever these photos were taken looks lovely! I love your green outfit!